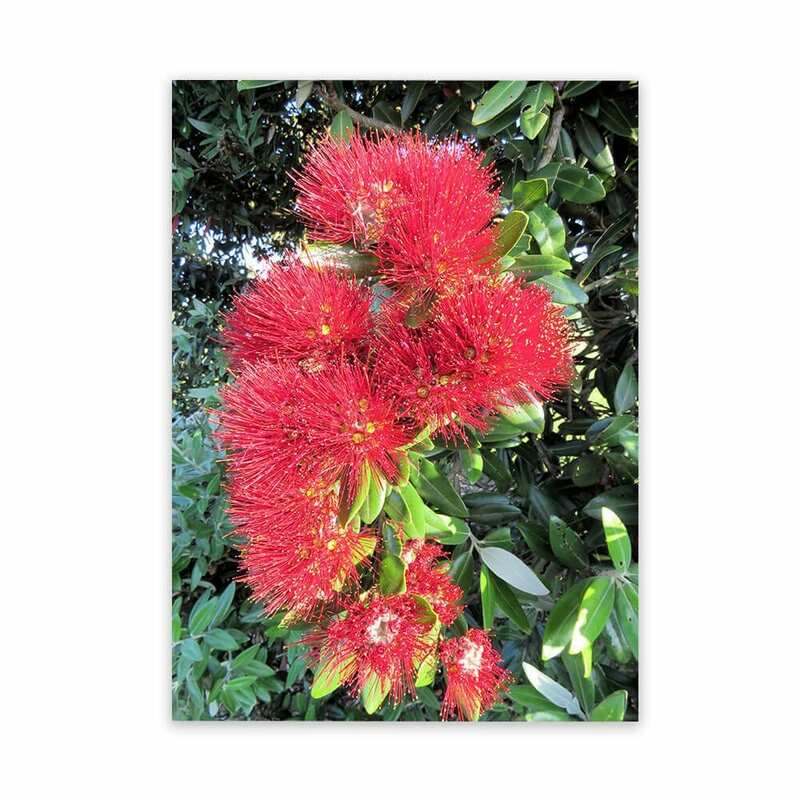 Pohutukawa Tree in Flower – Outdoor Garden Wall Art Panel on Aluminium by New Zealand Photographer Sue Collyns. Enjoy the wonderful Poppy flowers all year round on this waterproof hanging made especially for the garden, this waterproof art panel will look good anywhere, including inside your home. Outdoor Garden Wall Art Panels look great placed anywhere in the garden, fixed to fences, sheds or just placed against a tree; but the possibilities do not stop there, think the conservatory, bathrooms and kitchen in fact anywhere inside or out. Each panel features a stunning original photographic image treated with a high quality 5 star UV coating that can be placed in full sun.